BrassCraft 3/4 in. FIP x 3/4 in. FIP x 24 in. Coated Stainless Steel Water Heater Connector 3/4 in. I.D. BrassCraft 3/4 in. FIP x 3/4 in. FIP x 18 in. 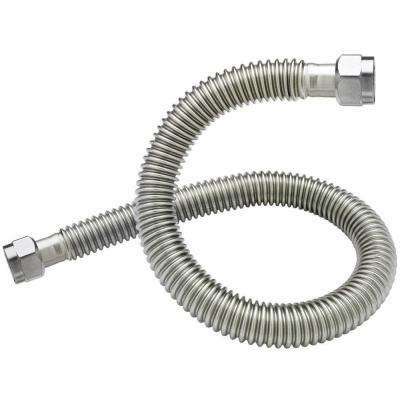 Coated Stainless Steel Water Heater Connector 3/4 in. I.D.